Ann Desborough, a countrywoman and former gamekeeper’s wife, could write a book about what she knows about rearing and caring for chickens and other farmyard birds – so she has. 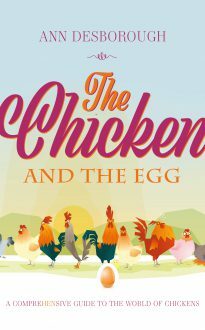 In this delightful work, lovingly written for her children and grandchildren, she has combined childhood memories with amusing stories and practical advice, setting out a highly entertaining young person’s guide to rearing chickens, ducks, geese, turkeys and guinea fowl, making the most of eggs of all kinds and cooking poultry. It is packed full of nostalgia, wit, wisdom and tasty recipes.